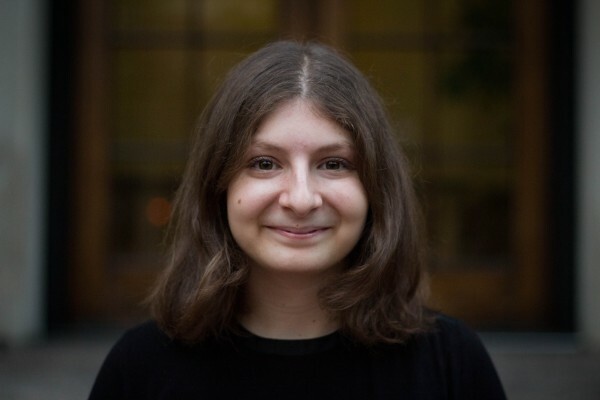 Kara Schechtman (CC ‘19) has been selected as one of the recipients of the Senator George J. Mitchell Scholarship Program to pursue a one-year postgraduate degree in Ireland. The fellowship is awarded to 12 individuals between the ages of 18 and 30 by the US-Ireland Alliance. Schechtman is headed to Trinity College Dublin where she will study philosophy. A point of frustration for her has been finding an area in computer science where both the humanities and computing overlap in a way that fits her interests. In artificial intelligence (AI), computing and philosophical questions can overlap, an intersection she finds fulfilling. The development of AI poses a whole gamut of challenges to humanity, ranging from legislation challenges, to AI bias, to ethical concerns about potential machine consciousness, and even to potential existential threat. But these challenges have remained while the technical developments of AI has grown leaps and bounds. The Ireland location of the fellowship is also ideal. Dublin hosts the European Union headquarters of a number of tech giants. And having double majored in English, she looks forward to “nerding out” over Samuel Beckett and James Joyce in their home country. “More broadly, the circumstances couldn’t be better — the other fellowship recipients seem amazing and I can’t wait to get to know them better, Trinity College Dublin is a wonderful school, and I am sure I will have a lot of fun exploring Ireland. I’m excited to grow from the experience in ways I don’t yet even expect,” said Schechtman.